International Evaluation Services of the Center for Applied Research, Evaluation and Education, Inc. (IESCAREE) is an outgrowth and development of the federally funded National Project for Indochinese Document Evaluation which was established at California State University, Long Beach, in 1975, under the auspices of the U.S. Office of Education (USOE), the Department of Health, Education and Welfare (DHEW), in coordination with the U.S. Office of Refugee Resettlement (USORR), and the National Liaison Committee on Foreign Student Admissions. Since 1980, IESCAREE has operated independently and has provided services encompassing professional assistance in authenticity verification and the evaluation of international credentials, while maintaining its unique features in serving all applicants, immigrants, and refugees who, for political or other reasons, cannot obtain complete documentation from their countries. IESCAREE has a library of up-to-date educational reference materials representing the disciplines and specialties in the education spectrum of most countries of the world. IESCAREE's staff has extensive experience in international education, and has been active in the evaluation of foreign credentials since 1980. IESCAREE is a Charter Member of the National Association of Credential Evaluation Services (NACES). In addition, IESCAREE had years of membership in related associations such as the National Association of Foreign Student Affairs (NAFSA), now known as Association of International Evaluators, and the American Association of Collegiate Registrars and Admission Officers (AACRAO). IESCAREE has been on the approval list of many academic institutions, employers, government agencies and licensing boards. The Center’s Staff have had extensive experience in international education, and participate actively in local, regional, and national professional meetings since 1982 for information exchange and professional growth and development; and to keep abreast with the constant changes in the world’s educational systems. During its 20-year history, IES/CAREE has evaluated thousands of transcripts from many countries all over the world, in many different disciplines and professions. Major countries with which IES/CAREE has been involved are Canada, England, Egypt, Germany, Hungary, Iran, Japan, Korea, Mexico, Nigeria, Pakistan, India, Philippines, China, Taiwan, Vietnam, Russia, the New Independent States and the Baltic Republics… Major professions in which IES/CAREE has experience include but not limited to: Accounting, Architecture, Business, Dentistry, Engineering, Education, Law, Medicine, Radiologic/Medical Technology, Nursing, Psychology, Physical/Respiratory Therapy, and Pharmacy. Provides professional review and in-depth analysis of academic documents, using a methodology based on research and expertise in both U.S. and international fields of education, to evaluate past educational background of applicants to assure proper and accurate U.S. ranges of educational equivalencies. Provides evaluations based on general guidelines of the National Council on the Evaluation of Foreign Educational Credentials. IESCAREE's evaluations, in their final Evaluation Transcript forms, represent the qualitative and quantitative characteristics of the individual's past educational attainments and academic experience, in terms of U.S. ranges of equivalencies which are accepted by colleges, universities, educational institutions, business organizations, and Government and licensing agencies in the U.S. and abroad. For the Individual seeking admission or advanced credit, investment in IESCAREE's evaluation service will save him/her time and in many cases, money. 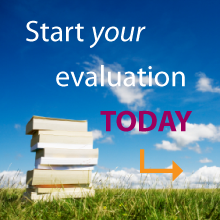 For educational institutions, licensing agencies, and employers, it means receiving an evaluation upon which they can rely with confidence. For the Academic Community, IESCAREE verifies, evaluates, and makes admission and placement recommendations. Thus, IESCAREE seeks to protect the institution from the unqualified student and assists the qualified student from having to repeat coursework that has already been completed in a satisfactory manner. For the Business Community, IESCAREE provides a thorough verification of academic records and an evaluation of academic training; to assure that a prospective employee has the qualifications claimed. For the Professional Community, Governmental Agencies including Immigration Services, IESCAREE provides authenticity verification of academic and professional documents, evaluation of academic training, and recommendations to governmental and licensing agencies; to assist in the selecting, screening process for qualified applicants. IESCAREE's mission is to provide accurate and timely academic credential evaluation services, within the limitations of state and federal privacy laws, to individuals who have experienced all or part of their education outside of the United States; and to institutions, organizations, and agencies that request such evaluations for academic placement, licensing, and professional certification purposes. The service includes the verification of the accreditation status of foreign institutions, assessment of the quality and level of the education attained; the reconstruction of past educational attainments where credentials/documents are missing or incomplete, the verification of authenticity and accuracy of the translation of the credentials/documents; and related special services as appropriate. This mission will be carried out always with integrity, compassion and efficiency, with the most effective methods and with the hallmark of professional and personalized service. IESCAREE's policy of confidentiality of records is printed in its brochure, which is sent to every applicant upon his or her request for an evaluation. To assure the applicant's privacy, IESCAREE's policy is to communicate only directly with the applicant. IESCAREE does not release information to other persons (relatives, employees, and/or advocates) once the applicant has formally applied. It follows the policies of the Federal Privacy Act and no information will be released to a third party without the applicant's written approval.